Nobody can deny that it is all about looking good these days. The social and professional scenario has put a huge emphasis on looking the best you can look at all times. As women we barely get the time to do this everyday. There are still some days when we leave the house without make-up. Juggling professional work loads and meetings while still making sure the dinner is served at the right time and the kids are well taken care of is not easy, to say the least. No wonder, over the years this kind of lifestyle takes its toll on your figure and skin. You end up looking older than your age, and feeling helpless about losing inches and getting your young look back. But there is no need for this. Even if you do not have the time for regular exercises and long hours at spas or beauty parlors, there are other ways to get around such problems. The Internet can be a good resource to tap into options available to you. For example, you can browse online to find simple beauty regimes to follow everyday, diet and nutrition advice to eat healthy, home remedies for skin troubles, home exercises using your toddlers as weights or even tips to switch to a healthy lifestyle. The best part is that you can read through such blogs or articles whenever you have some free time on your hands. Keep in mind that since there are different body and skin types not all the tips you read will work, but if you keep an open mind, you are sure to stumble upon some that are effective for you. Also, in case of diets and nutrition advice, do not rely completely on one writer or article. The more you read the better clarity you might get about the subject. You might also want to consult a dietician before starting any extreme diet plans, as some might affect your health adversely. General health tips given online are safe to follow and fun to try out. For instance, you could rub papaya skin or banana peel on your face for a quick and easy food facial. Now imagine how much fun it would be, if you let your daughter or son does this for you. You could bet that no banana peel would ever find the dustbin without being put to use on your face first. Another thing you could do everyday is to make sure you have enough water and fiber. Good skin and a fit body are reflective of what is going on inside. Doing so can ensure that your digestive system is healthy. Some people even have warm water to start their day, as it helps in preventing constipation. The goal for some of you may be just to fit into your old stylish clothes or find a quick way to get rid of those wrinkles and dark circles. 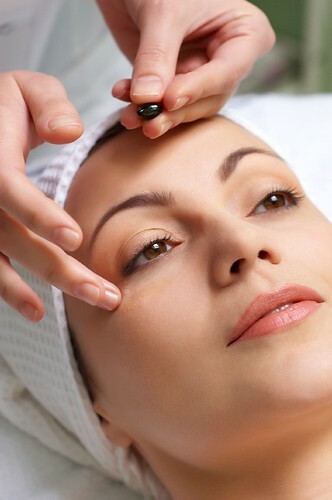 These days there are many dark circles treatments fat loss procedures and skin rejuvenation treatments that can give you instant results without going under the knife. These include body sculpting and face sculpting treatments such as Bipolar Radiofrequency with Diode Laser, Mesotherapy, Lipolysis and Endermology. These procedures are non invasive, safe, instant and permanent. Plus, they do not cost a bomb as compared to surgical procedures that require you to take days off from work. You can research these options online to find the one that best suits your needs. Also, make sure you get the treatments done through a reputable clinic run by a well-qualified doctor for best and long lasting results. Dunbar Denis is 32 years old free lancer writer and content builder for Instasculpt and she spends entire day in local internet browsing for dark circles treatment. Yeah looking good is important in our life.. Yes it is true that nobody can deny that in this modern world every thing is about look. If you don’t have enough time to take care of your beauty then you must hire a beautician or a make up artist because this are the person who has idea about all new things of beauty industry so they are the only people who can help you in this field. Every women love to look good. Using cosmetics would damage the skin and usage of natural remedies would be an effective tip to overcome it. Also this would save money as well.